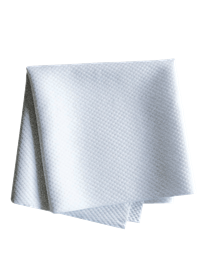 The fabric used in Alsico's cleanroom range is a densely woven barrier fabric which ensures the highest standard of particle control. It is suitable for use in ISO Class 3 cleanrooms. A superior ant-static performance is achieved by a conductive yarn woven into the fabric which controls the risk of static build up, eliminates the triboelectric charge and prevents particle attraction to the wearer. Human beings are the biggest potential source of contamination in a clean room. That’s why Alsico cleanroom protective workwear is designed using a densely woven barrier fabric. For exceptional particle control and superior anti static performance, Alsico cleanroom workwear is the smart choice. Whatever your business, Alsico cleanroom protective workwear delivers. Where the emphasis is on decreasing the cleanroom bioburden, for example in the pharmaceutical industry, Alsico’s barrier fabric ensures correct contamination control. To meet the need for particulate control in the electronics industry, our cleanroom garments include a conductive thread woven directly into the fabric. This controls static buildup, eliminating the triboelectric charge that causes particle attraction. Workers in cleanroom environments require garments that are comfortable and practical. 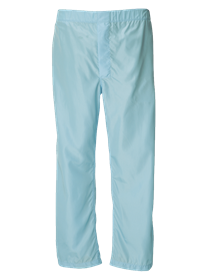 Cleanroom garments are designed to fit over everyday clothes which is why Alsico cleanroom workwear features details including concealed zips and generous raglan sleeves. All edges are heat sealed before sewing, and seams & pockets are double turned and twin stitched. Elastic wrists and stud fastenings ensure no particles fall out of your sleeves. Coats, trousers and coveralls are designed to be comfortable with elasticated waists and adjustable fastenings suitable for unisex use. 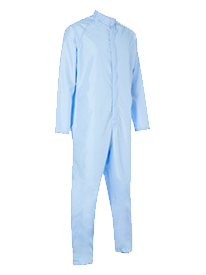 Coats, trousers and overalls are available in regular and tall fit and a range of sizes to suit every member of your cleanroom workforce. Each garment is suitable for industrial washing, autoclaving or gamma irradiation according to use. For extra protection, Alsico also provides hoods and boots. 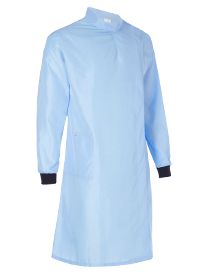 These items of cleanroom protective workwear are manufactured to the highest standards and feature ties and stud adjustments to ensure the perfect fit. Boot covers are often preferred to shoe covers because of the enhanced protection they provide. 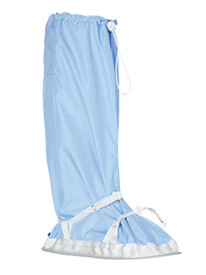 Alsico cleanroom boots are manufactured from the same innovative fabric as the rest of the cleanroom range and feature dissipative soles for ease of movement and to disperse static build up. In certain classes of cleanrooms a hood is a standard requirement. This prevents the introduction of hair or other particles by covering the head and the neck. 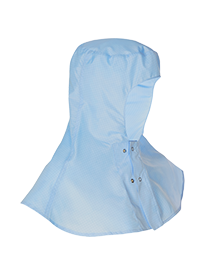 Alsico’s full face hoods are designed to adjust easily for a snug fit to eliminate contamination. Alsico is one of the leading producers of workwear in Europe. With a robust and reliable supply chain, you can depend on high-quality garments that have you covered, whatever the protective workwear your organisation needs.